Welcome to Cinnamon Vogue. The World's leading experts on Ceylon Cinnamon Sticks, powder, and oil. Your only source for real Ceylon Cinnamon (True Cinnamon) or Cinnamomum Zeylanicum (Cinnamon Verum) to use its scientific name. It is also known as Mexican Canela. Explore our stunning collection of Ceylon Cinnamon recipes while experiencing an outstanding customer service experience. We only sell Ceylon Cinnamon and nothing else. That means we know Ceylon Cinnamon better than anyone else. Ceylon Cinnamon is soft and crumbly with a subtle sophisticated and slightly sweet taste with hints of citrus and clove. Very aromatic when boiled or brewed. 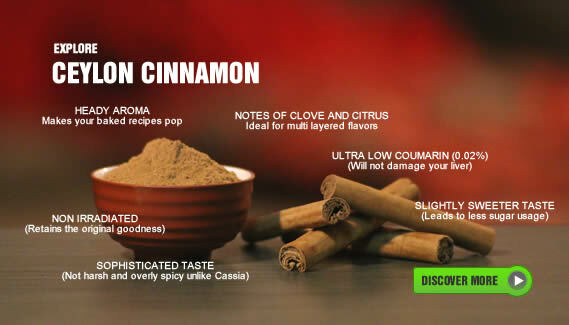 Unlike the Cassia Cinnamon which is what is available at your local grocery store, Ceylon Cinnamon has ultra-low Coumarin levels so it won't damage your liver. Ceylon Cinnamon is called " True Cinnamon " because it is unique and native to the tiny Indian Ocean Island of Sri Lanka. 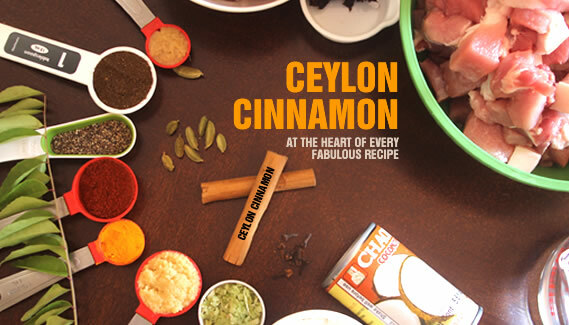 As original natives of Sri Lanka, we have developed a passion for all things Ceylon Cinnamon, researching its benefits, hunting down Cinnamon recipe,s and constantly searching for the best Ceylon Cinnamon products in the World. Ceylon Cinnamon, also referred to as Canela in Mexico, is very different to the far inferior Cassia Cinnamon. Using premium " Ceylon Cinnamon Bark Oil " and " premium large leaf Ceylon Black Tea " we created the best Cinnamon Tea in the World, with zero artificial or natural flavors. We challenge you to find a better Cinnamon tea. 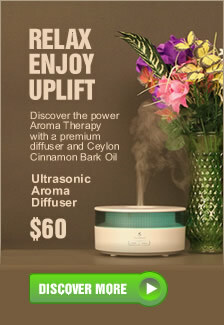 Try our amazing Ceylon Cinnamon Leaf Oil and Bark Oil, both of which have a wonderful aroma and significant health benefits for everyday living. Cinnamon Oil makes a powerful anti-bacterial disinfectant, its scent will boost your memory skills, and repel all manner of household insects, especially black ants. 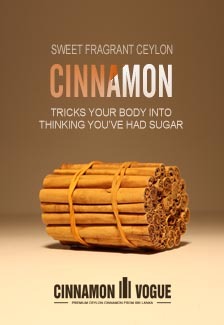 If you want the best USDA organic Ceylon Cinnamon Powder, then look no further. We packed it in a triple layer stand up pouch to protect it from sunlight and moisture. Imported in small quantities, the freshness becomes immediately apparent. Brew it into a tea, or add it to pancakes, and the aroma makes it clear that this Ceylon cinnamon powder is fabulous. The best you can get anywhere. And when it is all said and done, what better way to finish a meal than to clean your teeth with some Ceylon Cinnamon toothpicks. Makes that after lunch kiss, that much sweeter.